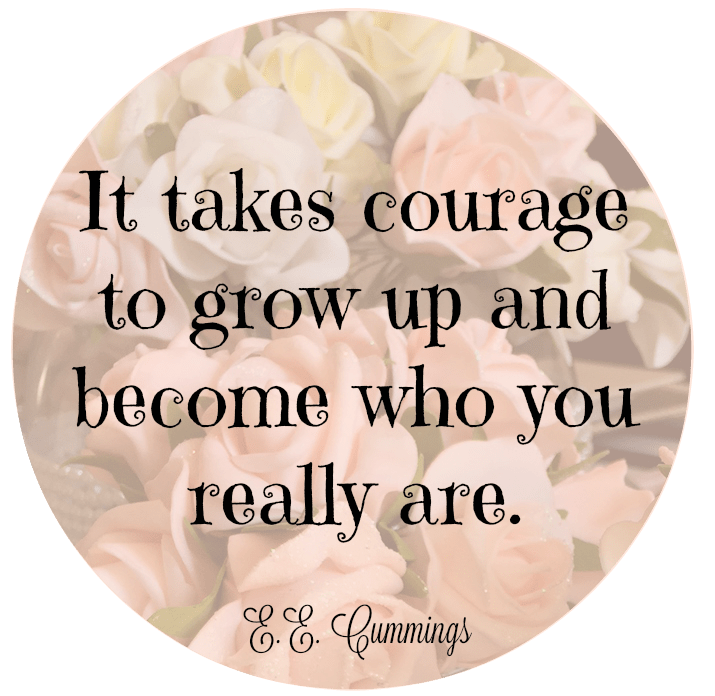 This past week, the oldest of my three girls graduated Grade 8. She made us so proud by winning several awards, and by showing poise & grace while completing her valedictorian speech. 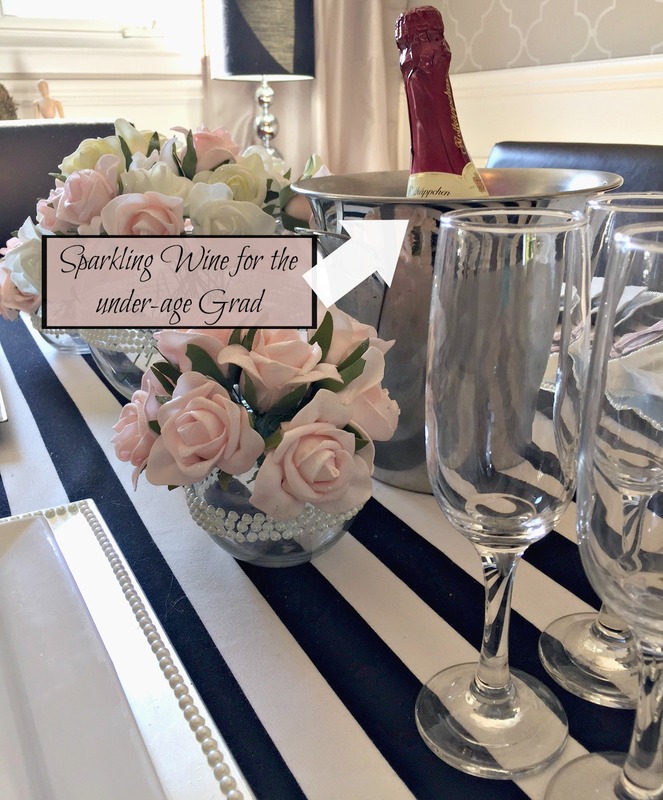 So, to help celebrate her special day, I decided to put together a pretty graduation tablescape, complete with champagne sparkling wine. 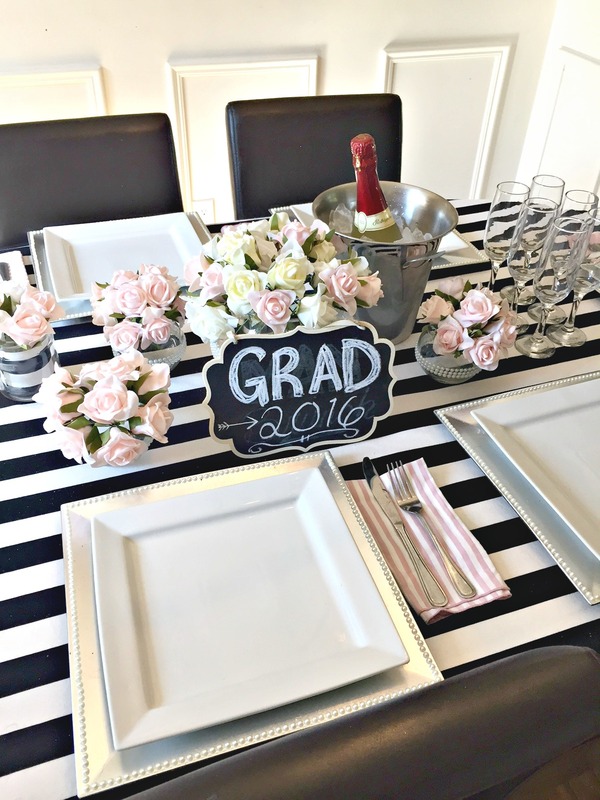 For this graduation tablescape, I went with black and white stripes (because you know…. 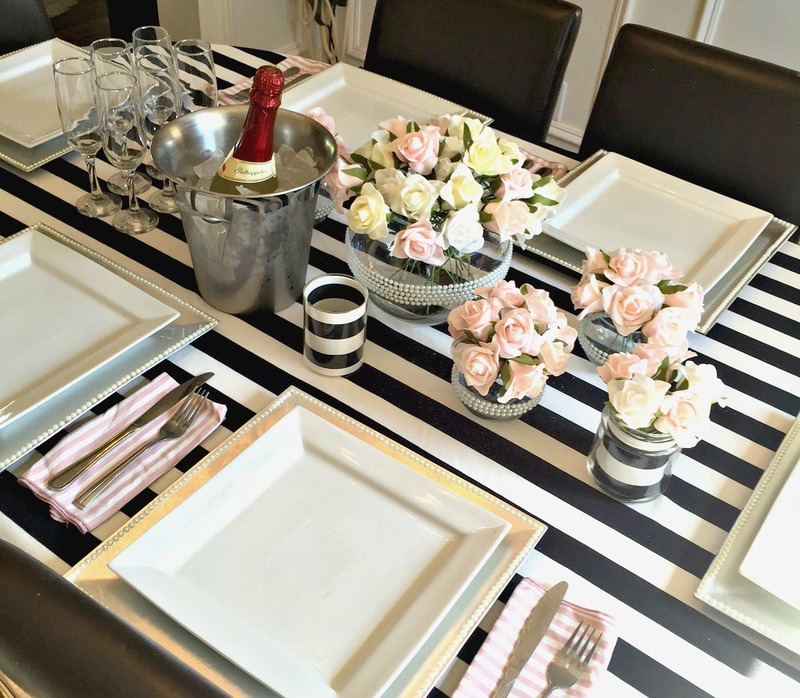 you can never really go wrong with B&W stripes…) and sparkly faux roses from the dollar store. 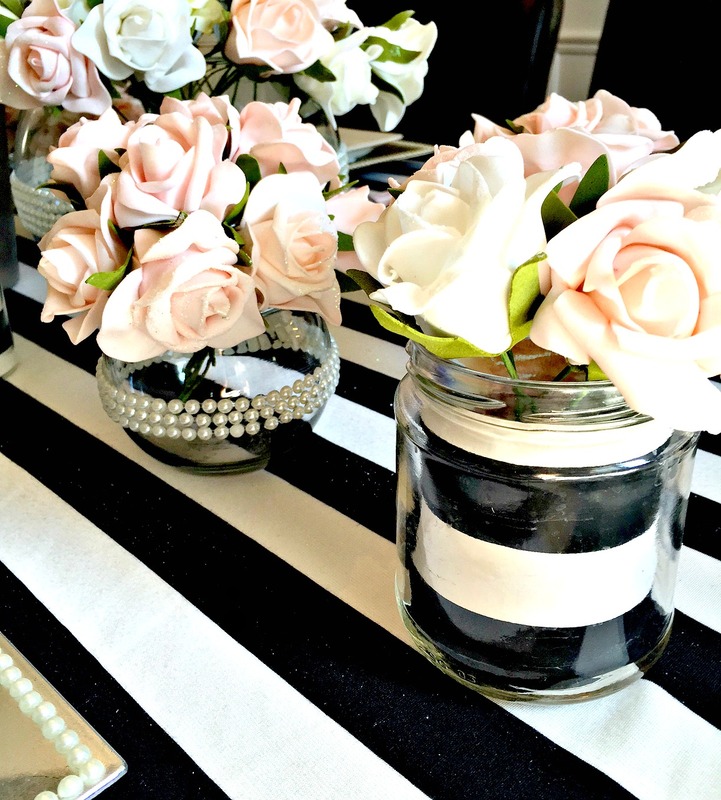 I used my square chargers, which have faux pearls on the edges, and I mirrored the pearl theme on to the round glass vases too to help tie it all together. This stripey vase used to be a salsa jar, and I painted stripes on some paper and popped it inside once it was dry. Easy peasy 🙂 Some of the glitter from the faux roses littered the tablecloth and looked very pretty and sparkly in person… not to so on camera though. Boo! 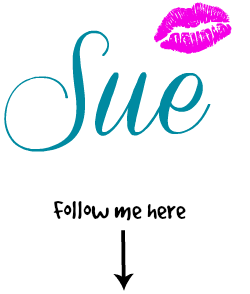 I updated this little chalkboard and added a personal message for her. I was stoked to be able to use my awesome ice bucket I found at a thrift store. 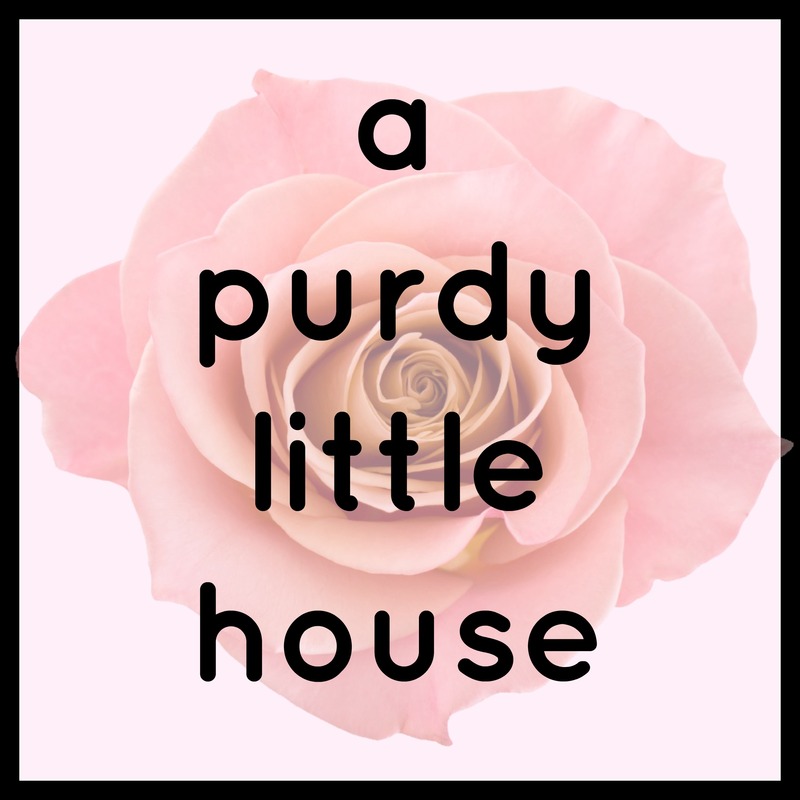 This baby doesn’t get used an awful lot, so any excuse is a good one. My daughter even thought we were actually giving her real champagne. Lol!!! We toasted to her success as she moves on to the next stage of her education. The dinner we served for the proud grandparents and family was Chicken Parmesan sandwiches with sauteed onions, mushrooms and red peppers, Caesar Salad, and a variety of cheesecakes for dessert. 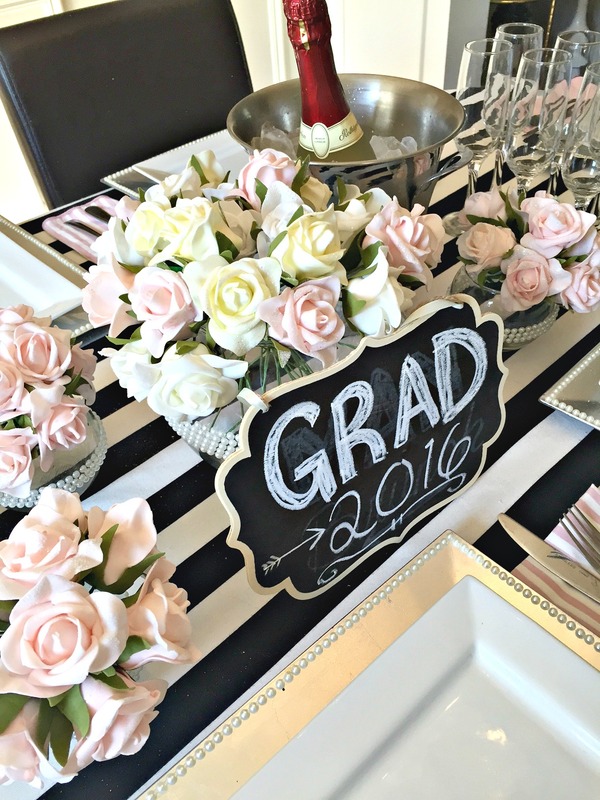 This graduation tablescape was super easy to put together and the cost was under $12.00, since the only items I purchased were the faux roses, the round vases, and the faux pearls. All items purchased were from the dollar store. 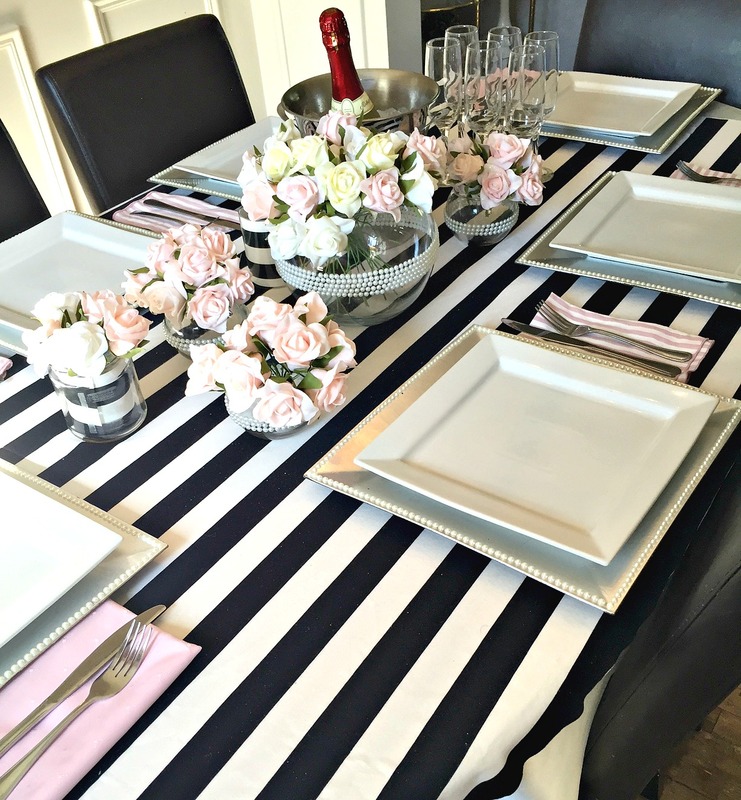 The tablescape even matched her dress and shoes. Totally unintentional! 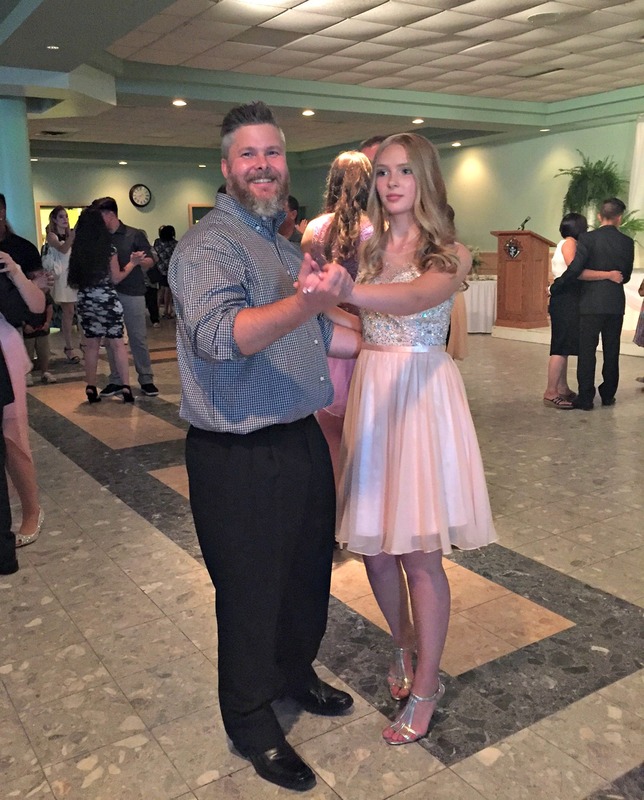 Here she is during the Father/Daughter dance.